John Amato | all galleries >> Galleries >> Reptiles and Amphibians I have had the pleasure to meet. > Tree frog during Spring rains. Tree frog during Spring rains. 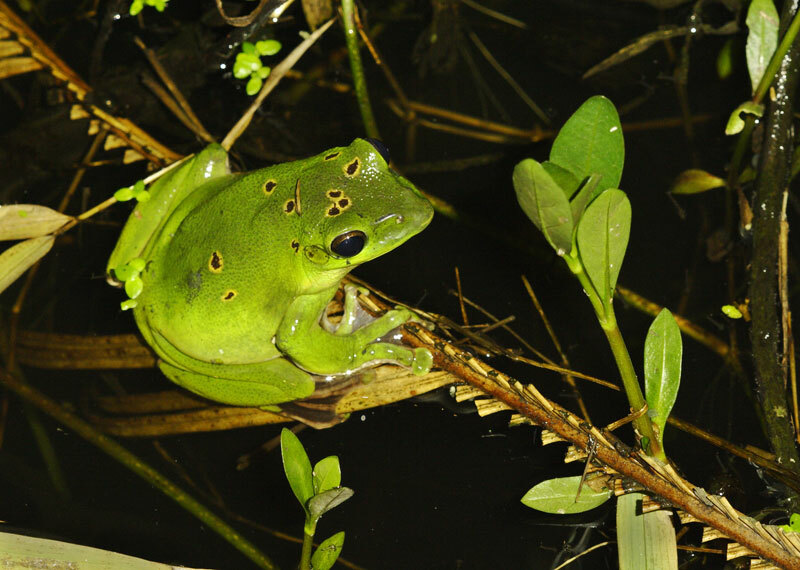 A series of images were taken of these tree frogs in a pond on the Jishou University grounds. The frogs come out at night during the mating season but it is difficult to photograph them because of where the pond is. Poisonous snakes are often found in this area, which makes it all the more exciting. Copyright. Use of any image is strictly forbidden without my explicit written permission.